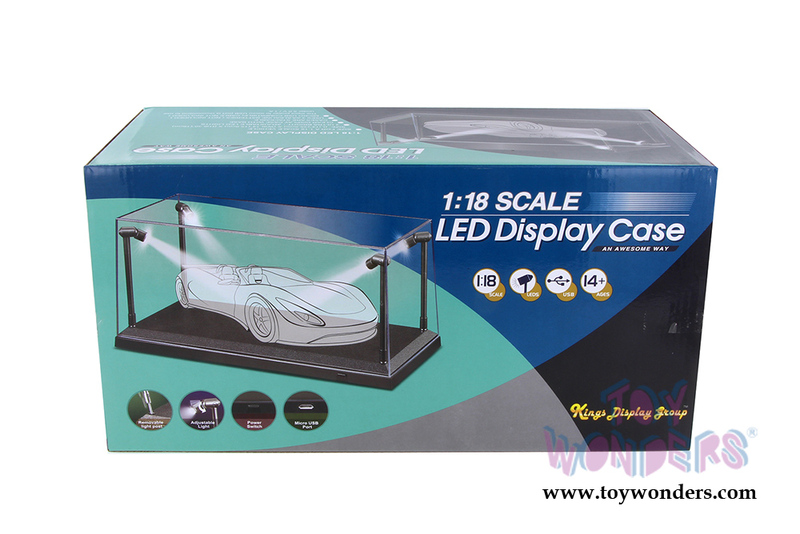 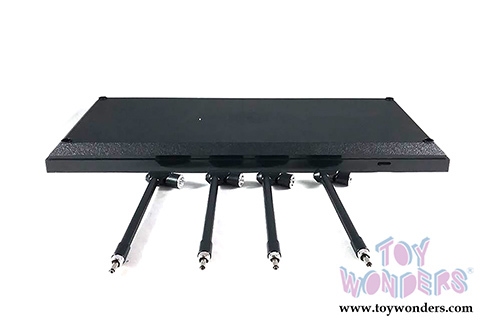 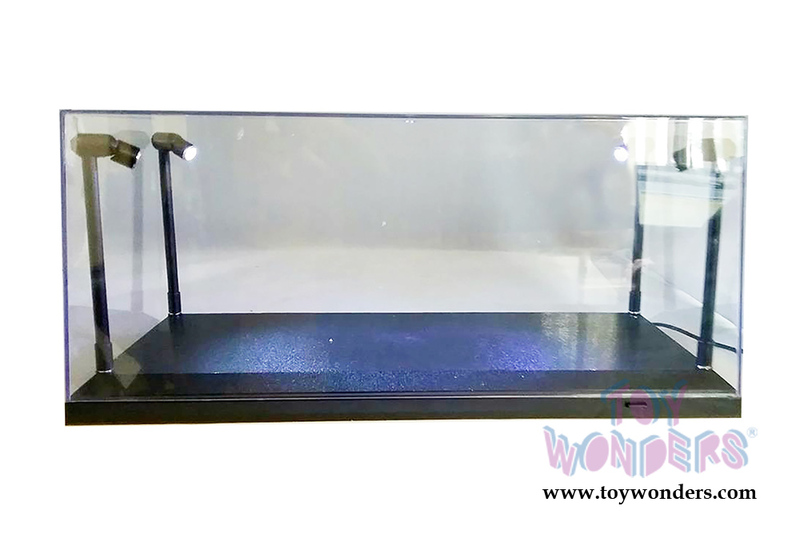 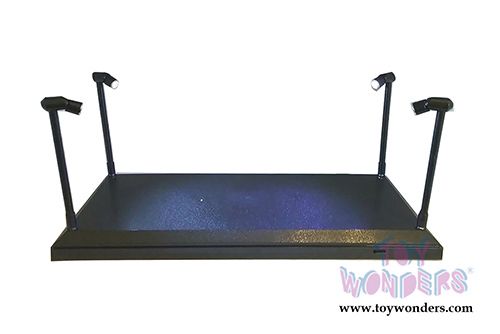 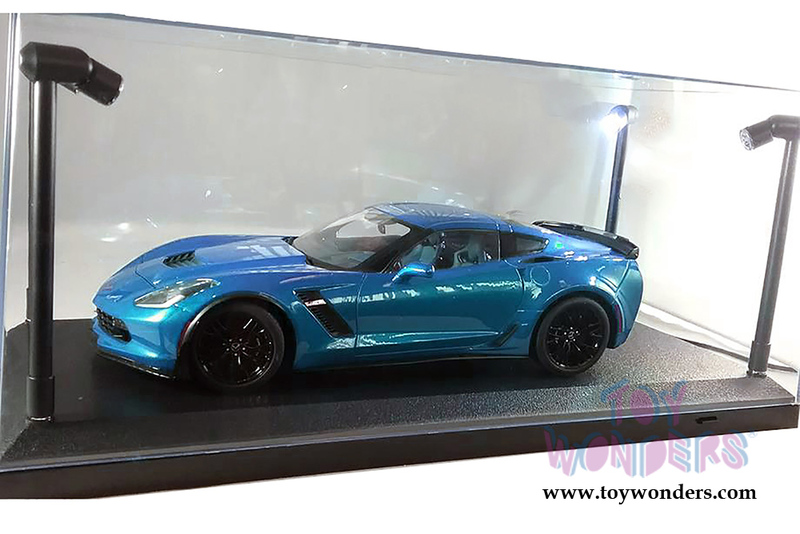 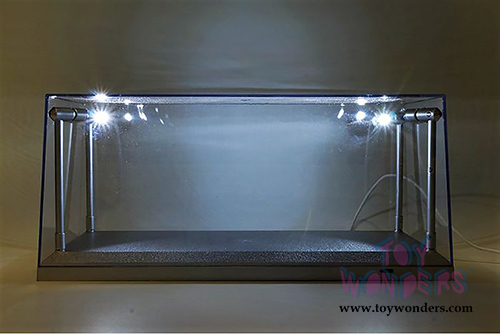 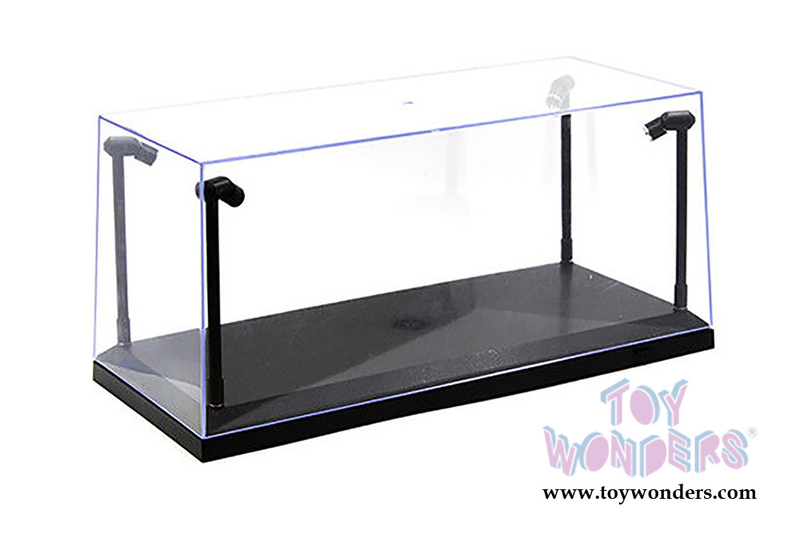 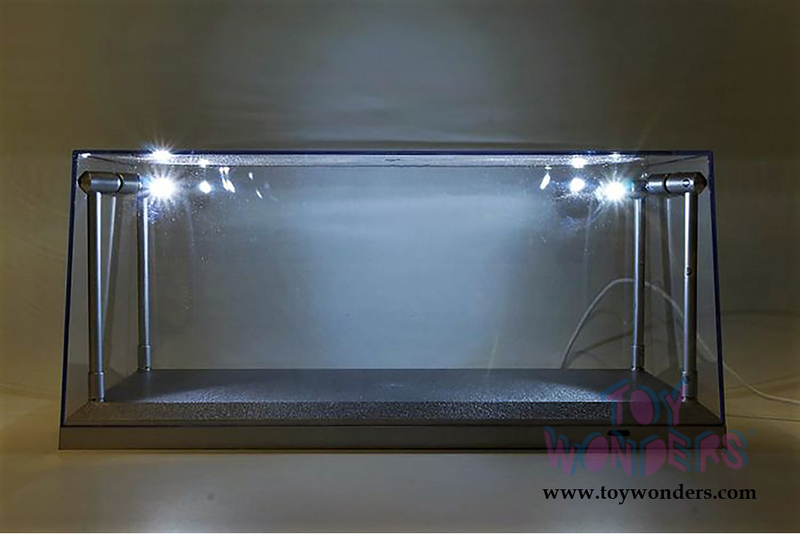 9920BK Acrylic LED Display Case for 1:18 scales diecast collectible model cars. The Crystal Clear Case dimensions are 14"L x 6.25"W x 6.5"H. King Display Group. Each Display Case individually packed in a box.